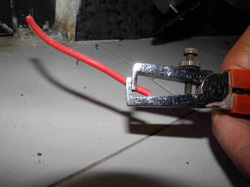 YOU SHOULD OBSERVE SAFETY RULES FOR WORKING WITH AND HANDLING POWER DRILLS. 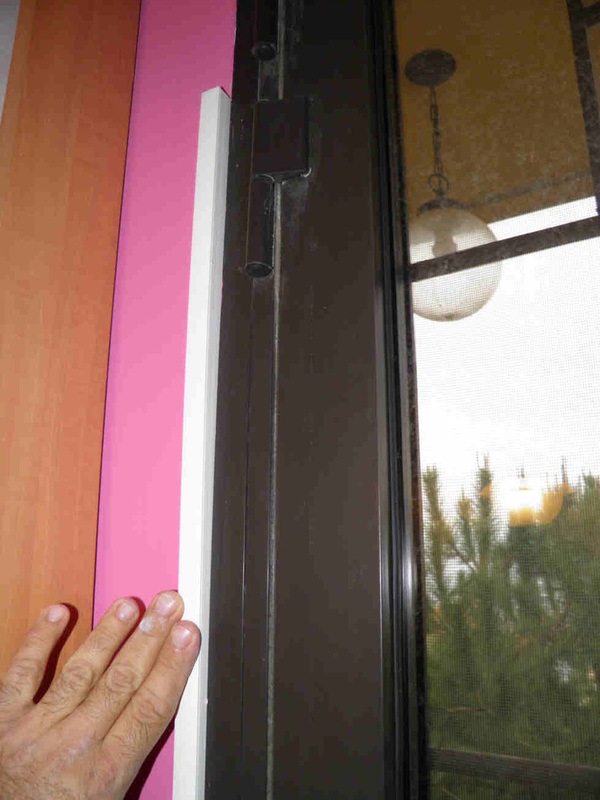 A power outlet is needed to the right of this door while the existing outlet is to the left i.e. behind it when open. 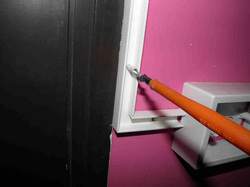 Running an extension cord is not practical as it blocks the door opening. 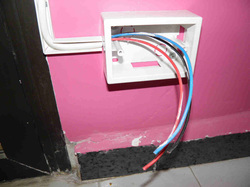 The below pictorial shows how to run a cable without blocking the door and install a wall mounted box. 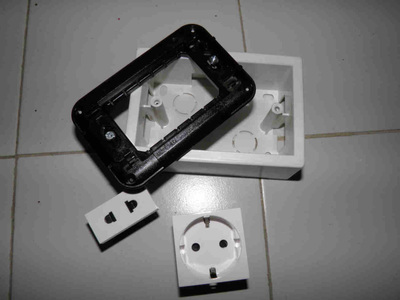 From left to right: a surface mount 3-module box complete with its frame, 1 schuko outlet, one american outlet, a few meters of PVC self adhesive cable trunking and a 3x2,5mm² cable of a few meters length. 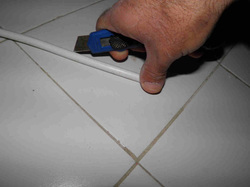 1- Peel the trunking and start by fixing lengths that do not need to be cut. 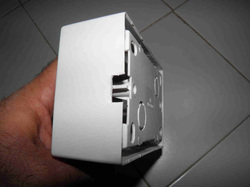 ​4- These are the best for cutting trunking and electrical enclosures. 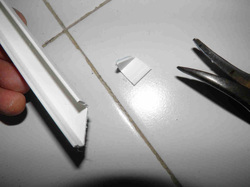 7- Make sure the assembly is accurate before peeling the trunking or else adjust the cut and try again. 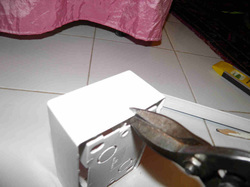 10- Cut a small opening in the box on one side as a wires passage. 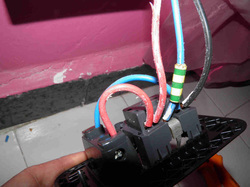 13- Fix the box and complete the trunking installation. 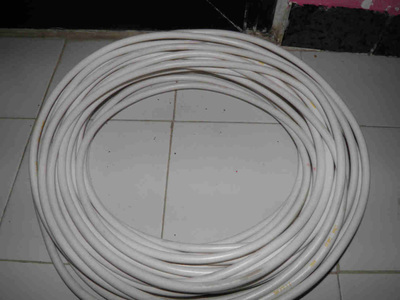 16- Cut the outer insulation of the cable on some 10 to 12cm of lengths. 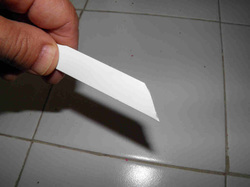 Do not go deep, cut in surface. 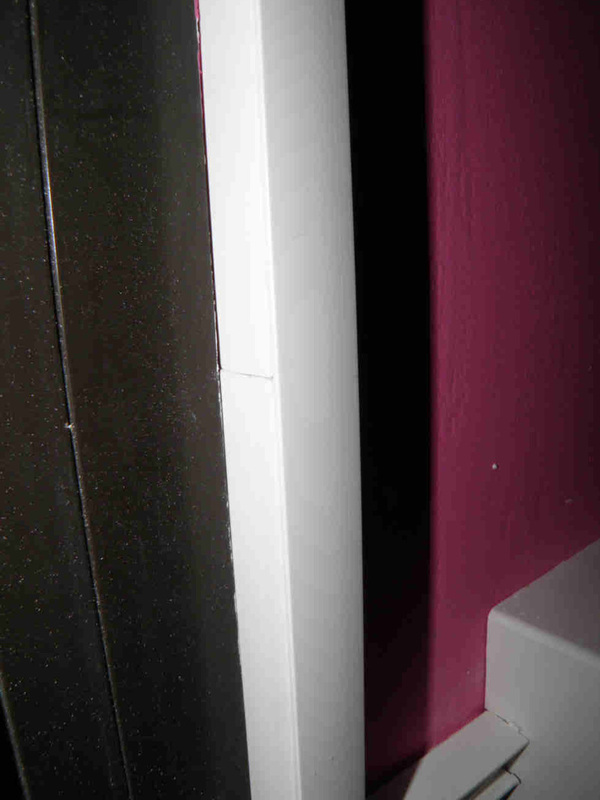 19- And to close the trunking. 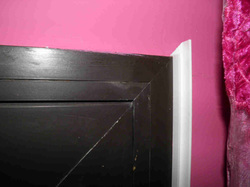 Make sure the trunking joints are not aligned with the cover joints. 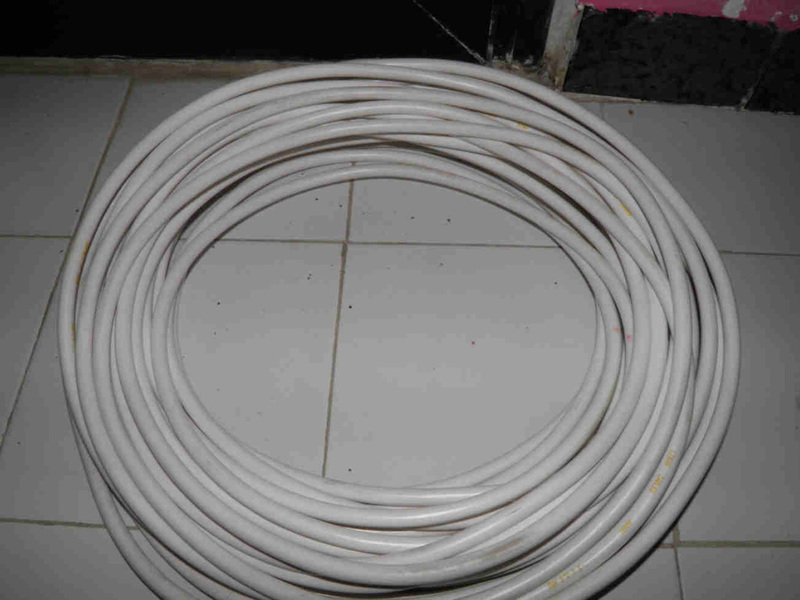 22- Chose your color coding, mark the one you want to use as earth conductor with green/yellow tape. 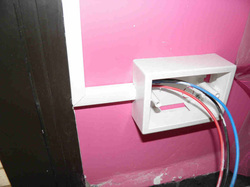 25- Mount the box cover to complete the job, install a plug on the other side of the cable and connect it to an existing socket outlet. The job is complete. 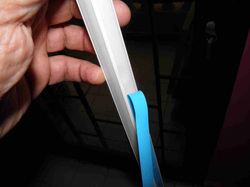 2- Press firmly on the trunking while moving your fingers all along its length. 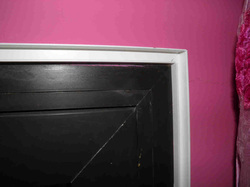 5- On corners, cut the trunking at 45 degrees to create angles of a better finishing and appearance. 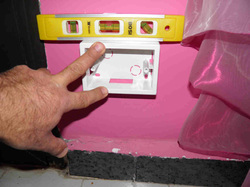 11- Make sure your opening is smaller than the trunking section. 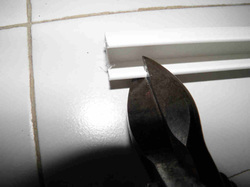 14- Self adhesive trunking is to be secured with a few screws. 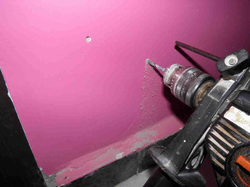 Drill 2 holes for each full length of trunking and 1 hole for short pieces. 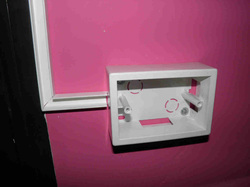 23- Push the sockets into their mounting frame until you hear a "click". See also our page for adding switches ! 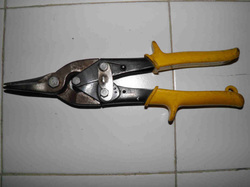 3- Prepare the so-called "aviation cutters" that cut straight (yellow color). 6- Work on one corner at a time. 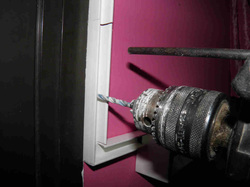 12- Drill the holes with a 6mm bit, vacuum them, plug them. 15- A 5mm bit is enough, insert a plug and a screw through the hole and tighten the screw. 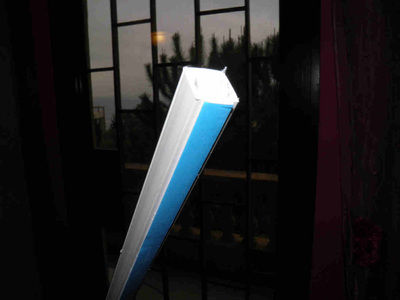 ​18- Time to cut the trunking cover. 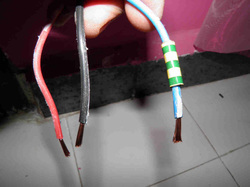 21- Strip the wires ends (less than a cm). 24- Connect the wires. 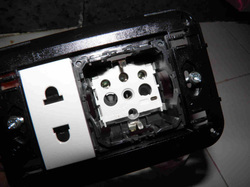 Feed the small socket from the Schuko as shown.